How can upgrading your boiler save money, make your home more comfortable and add valuable living space? 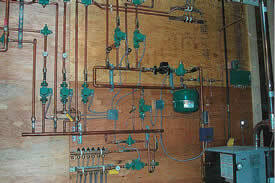 Read about this upgrade and see how we achieved all three with the Weil-McLain Ultra Boiler system. 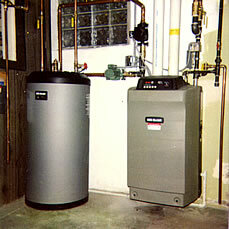 Monthly cost savings using the Weil-McLain Ultra Boiler and System over the old system. KPH's award-winning "Mission House" installation is pictured here. This design was recognized by the Radiant Panel Association for outstanding achievement in the field of radiant panel heating and cooling.